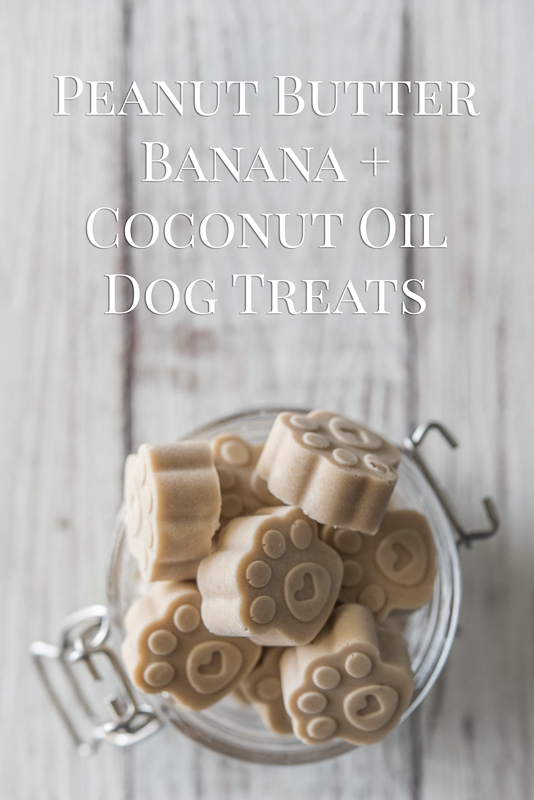 We all know that I love treats made from coconut oil because they are so easy to make. 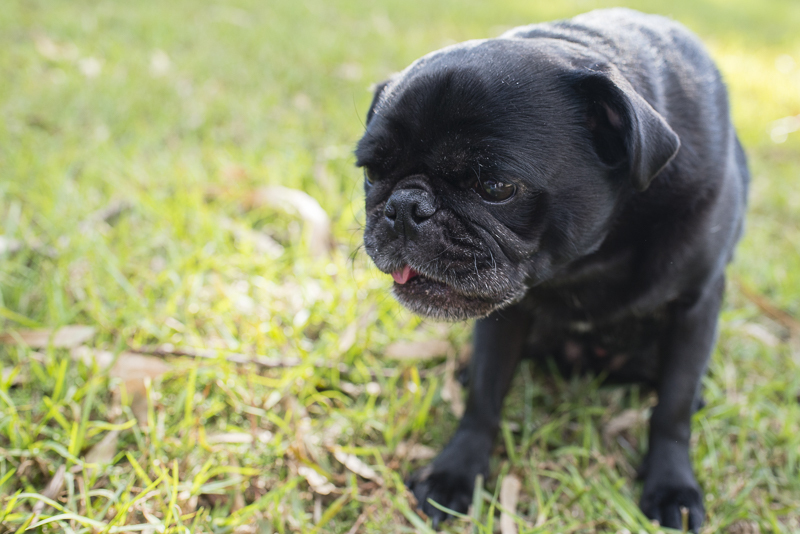 And since I add coconut oil to the pug’s food daily, I wanted to be able to give it to them in a variety of ways instead of just plain ol’ coconut oil on its own. 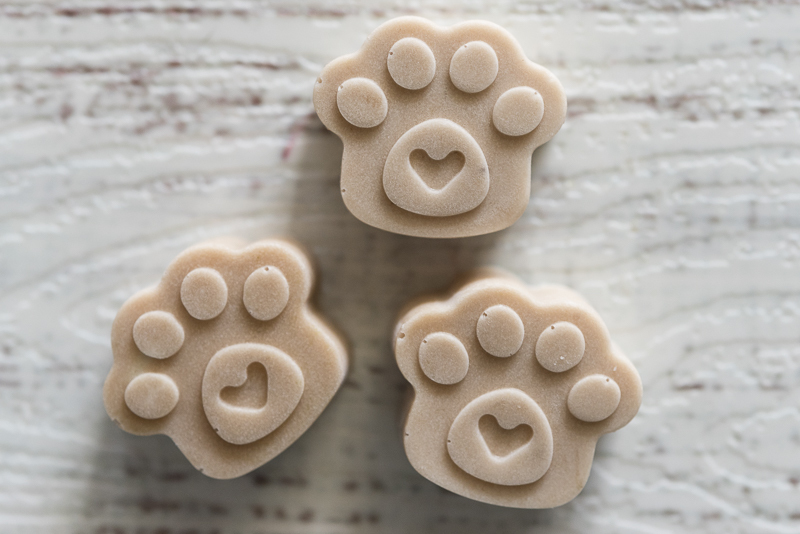 So in comes another dog treats recipe just for you. This time I came up with a flavour combo your pug will inhale. No jokes. 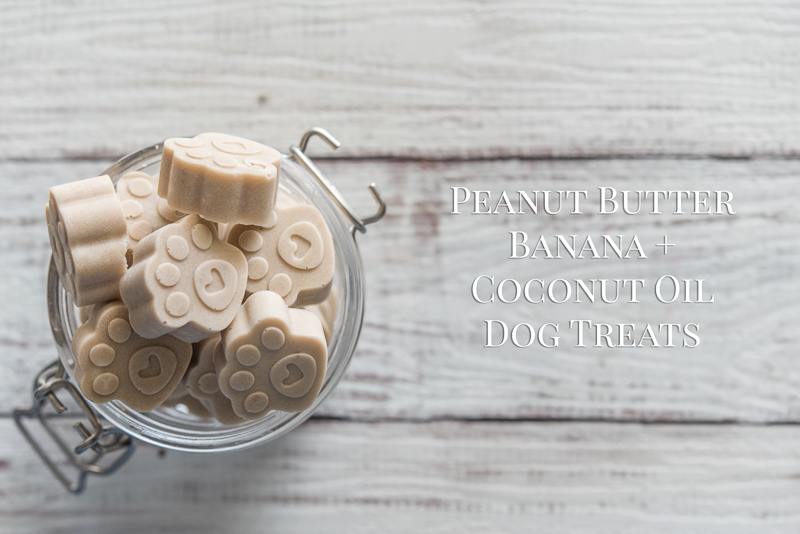 These peanut butter, banana + coconut oil dog treats are going to be your pug’s favourite way to consume their daily dose of coconut oil. 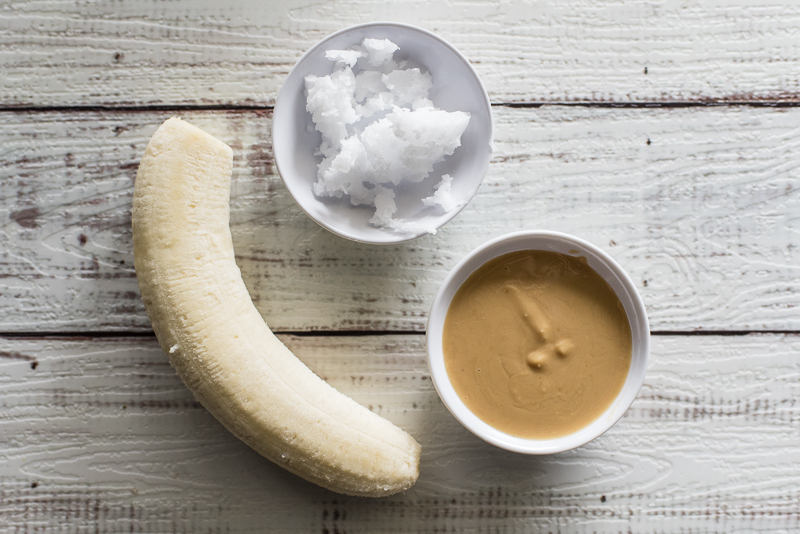 We already know the amazing benefits of feeding coconut oil and if you don’t, check out just why you should add it to their food now! But why combine this super food with banana and peanut butter? Well to put it simply, it is a flavour combo that pretty much all dogs love. 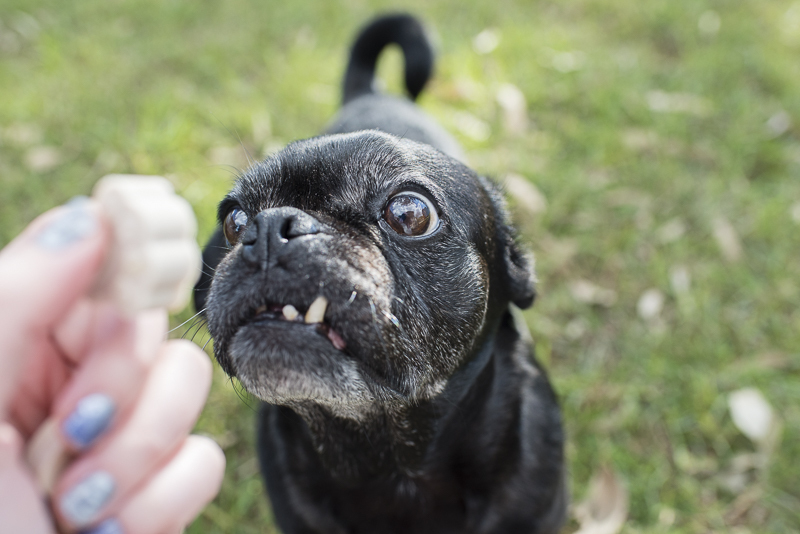 There is something about peanut butter that makes most dogs go crazy. Personally, I don’t get it. I can’t stand peanut butter. But you need to keep in mind that not all peanut butter is created equal. It is quite often filled with added salt which your pug just doesn’t need. So look for an organic peanut butter that is made from 100% peanuts and nothing else. You can’t go wrong when it is just one ingredient. But why banana? Well I find my pugs will go crazy for banana too. But bananas are packed full of goodness. They are a good source of potassium, manganese, vitamin B6, vitamin C, fiber, biotin and copper. They are also low in sodium and cholesterol. And if you are feeding probiotics, bananas are a great prebiotic to feed with those gut boosting probiotics. However, bananas are high in sugar content so should only be given in small amounts and not daily which is what makes this recipe great. Love all your hard work helping me to feed April healthy food. 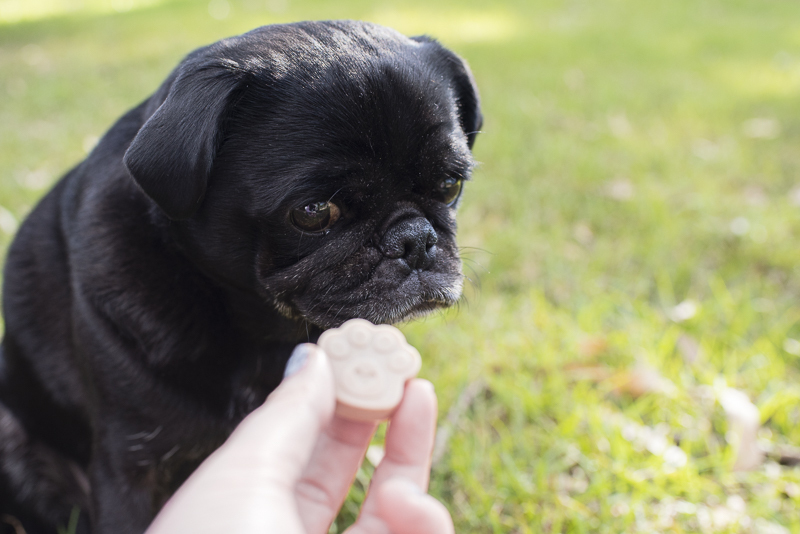 My pug is 12 weeks old, when can she eat this treat? Hi Bonnie. This would be ok to feed a couple days a week. I wouldn’t feed every day due to the higher sugar content of the banana. 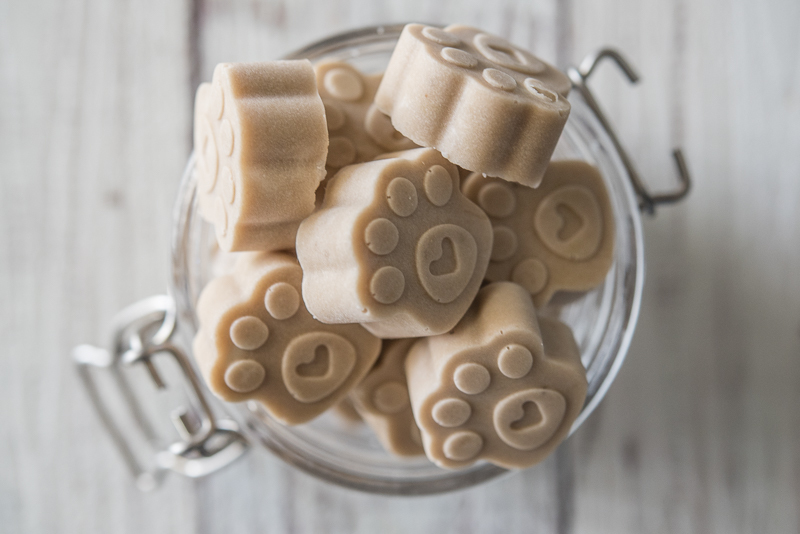 But if you have a variety of coconut oil based treats, you would be able to give a small one every second day for a pup or half every day. The recommended daily intake for coconut oil is 1tsp per 4.5kg/10lb.